Plus our league isn't in season yet. I'm sure come March when it returns, it'll be a lot more lively. You guys will finally have a chance to dethrone me in fantasy. A win is a a win lol. But I'm really excited for this upcoming season. This is the first MLS X.0 season post-Almiron transfer. I want to see how everything plays out now that we've embraced our status as a selling league. Schweinsteiger has 93 pace and shooting now. Just thought I'd let everyone know. Was just gonna ask. Thanks! Have any of you tried fb rooney at cm? Seems like he would be wasted there but im trying to fit him, ibra, rashford and Best in my past/present Man U/MLS Hybrid with everybody on chem. Proving to be difficult atm. Rooney plays CAM in my WL Serie A/MLS hybrid side, but he's a CM in my MLS sides. M/H with decent physical and defending stats. His shooting is wasted, but I can live with that in exchange for an improved central midfield. I run Almiron at CM too. well that's a pleasant surprise. I was using an untradeable Oblak on my MLS side on 5 chem....I just traded him straight up for this basically. Didn't cost a thing. thoughts on links guys? for hybrid. I htink Opara is the best shot we got. 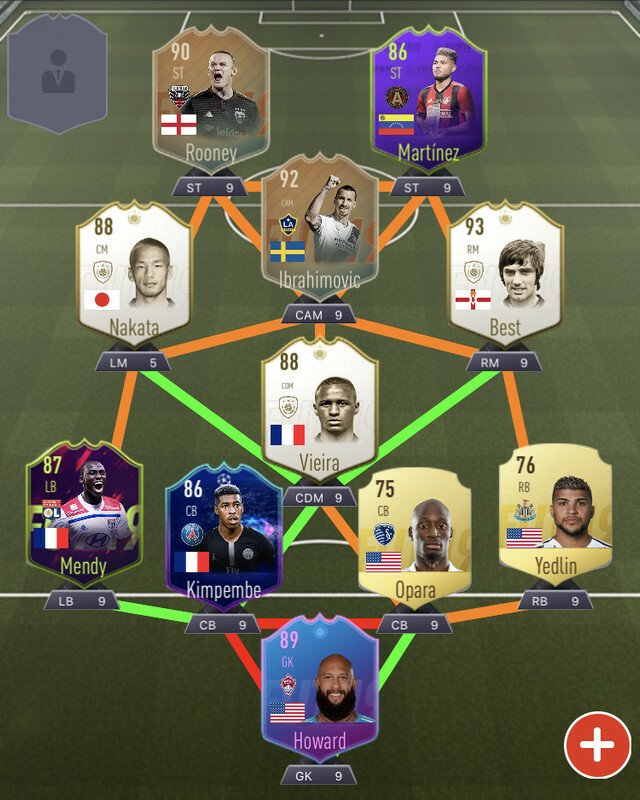 Thinking Opara + Yedlin on the right and RTTS Kimpembe + FFS Mendy on the left (I got Mid vieira who will give Kimpembe the 2nd green link he needs). IF Waston and Opara can run with the best if you ask me...especially with spam crossing all the rage again. Them big boys do work for me. 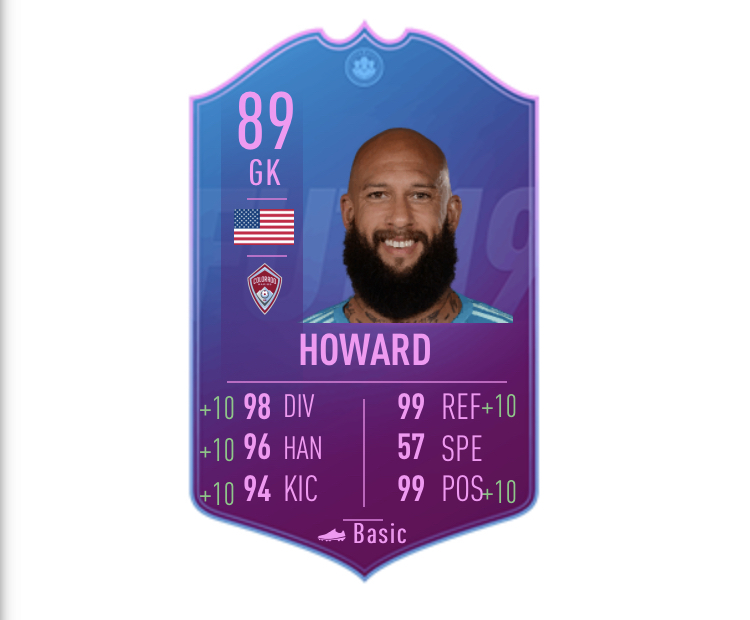 Now with a 89 Howard too? 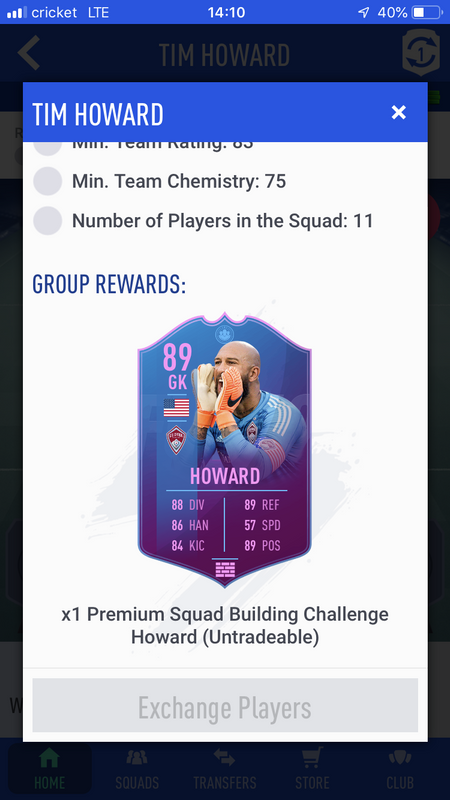 didn't even think of that....I'm using headliner Sommer on my main squad right now....with Brooks too. Love how they made it so cheap. Will be doing him and Cech.